You may be of the mind that the only way you can play poker online is at a poker site that will randomly select a seat at a cash ring poker game table or at a poker tournament table to you. However, you do need to think again! For nowadays you are going to find plenty of poker sites and even some poker apps that are going to allow you to set up your own private poker games and your own private poker tournaments too, and therefore it is you in charge of whom you invite to play at your private tables and in your private tournaments too. If that is something you fancy doing, to allow you to play poker online with friends or family members, then please do read through the following guide as I will be letting you know in full detail how you can go about doing just that! You will need to first find an online poker site that does enable their customers to set up private tables if you are interested in placing cash ring games at such sites with your friends. Once you do come across such a site and have logged into your account, you will then be faced with having to choose just what type of cash ring poker games you fancy offering to your friends, there will be plenty of options regarding the base game variant for example so pick one that your friends will enjoy playing! You will also have the option of choosing for example whether the private game you set up are going to be pot limit games or no limit games, and also you will need to decide the blinds that you wish to have in place on those private tables to. 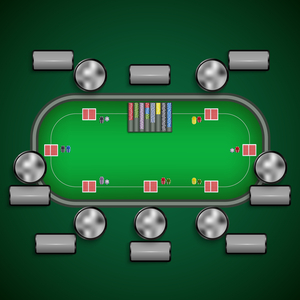 It is of course important that only your friends have access to those private tables, and that is easy to achieve and you will be giving them out a password to access them, and the poker site software will allow you to send out an email to each of your friends that will show them how and just as importantly where to find your private tables too. There are going to be no limits regarding the number of private games you can set up, and as long as your fiends are available when you have those games live you should have plenty of fun, and keep in mind you can of course communicate with all of your friends via the built in chat software on each private table too. Now it will not only be private cash ring poker games of every description that you are going to be able to set up at a great number of poker sites, you will of course be able to and in a position to set up your own poker tournaments too. However, the thing to keep in mind is that the do need quite a deal of organising, for due to the way that players stakes are going to be used to feed the prize pools, you will need to have a fair number of friends that are prepared to show and interest and take part in them, to be financially viable. However, if you do have a very large circle of friends and family members that do enjoy playing poker you should be able to organize a private poker tournament fairly easily. Just make sure however that the entry fees are reasonable, and you allocate the cash prizes that will be on offer fairly too! You should also decide whether the tournaments are going to be offering any re-buys and add-ons too, as that is a very important part of any poker tournament of course! The benefits of playing poker with friends online is that you will know all of your fellow players, and there is something of a community feel when playing online too with people you know! However, one thing that many people the world over currently experience is that many of their friends are spread out all over the world, and it is a great way to bring everyone together from time to time. If you are having for example a Birthday in the coming weeks or months, and your friends or family members are too far away to come to a party for example, you could invite them all to take part in your private poker games or private poker tournaments. Keep in mind that you will not only be able to communicate with your fellow players via a chat room, but many poker sites also let you first up a web cam too, which is another great way to play poker with your friends as you can not only talk to them you can see them too, so consider doing so one day soon as I am more than confident you will enjoy that way of playing for sure! Now there can also be some financial incentives for you and your friends to play poker online at the same poker sites and with that in mind let me now take a look at what they can take the form of, as you are sure to find them of interest! New player poker bonuses are often what most poker sites are going to give away to their players that have just signed up and registered, so if you are planning on staging your own private games and tournaments then look out for the ones that do give away the most generous of offers and deals! But there are also going to be a range of what are known as refer a friend bonuses and they are bonuses you should seriously investigate and look into claiming, for you will be offered a bonus for each friend your recommend to a poker site and they can of course claim the usual sign up bonuses. As such the bonuses you can amass and accumulate when referring lots of your friends to a poker site can be quite significant, not all poker sites offer them but quite a lot of them do so! There are of course going to be quite a lot of different poker sites that are offering you the ability of setting up private poker games and poker tournaments that do not cost the visitors to your rooms anything and they are of course thee free to enter ones. Just be aware though that there will be no real cash prizes on offer on those no cost and risk free tournaments, and many poker sites may not give you the option of starting up free ones, so you are going to have to do some research to find out which ones do so. You will probably find though that the standard free to enter poker tournaments are going to be just as much fun for you and your friends to enter, for you can obviously enter them together and when a poker site odes organise them they do have cash, bonus or even entries into other higher paying tournaments on offer as the prizes. You will still have access to the chat rooms too so you can communicate with anybody taking part in such a tournament, and keep in mind you will be able to see the position you have achieved in any tournament along with the positions of your friends too, by simply checking out the poker tournament leader board. It is vital that you do not send your friends to a poker site that is anything less than a first class one, for you will never want them to experience any problems playing at such a site, just as much as you will never want to experience any problems playing at such a site either! Therefore please do check out any of the top rated and fully approved poker sites that are listed and showcased through this website, for each of them are fully licensed and regulated and that means you are never going to end up playing in anything less than a first class playing environment. Make sure also that your friends are able to play the games they want to play and enjoy playing the most, as there can often be lots of differences regarding the games and tournaments they will have access to at several different sites, but cost of all have fun when playing poker with friends online, for that is what it is ultimately all about!